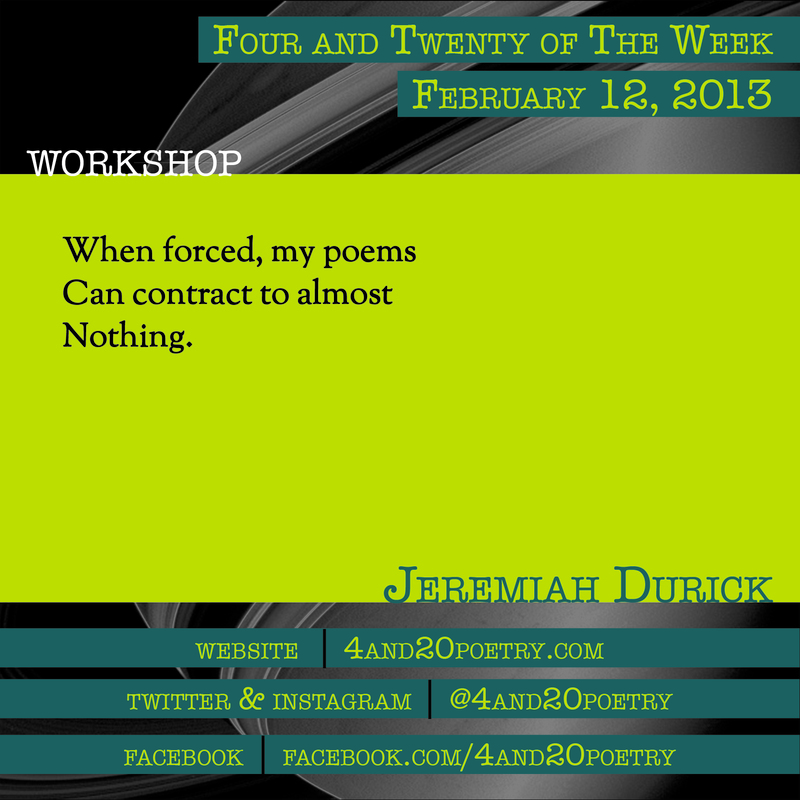 Jeremiah Durick is presently a writing teacher at the Community College of Vermont and an online writing tutor. His recent poems have appeared in Third Wednesday, Steam Ticket, and Big River Poetry Review. This entry was posted on Tuesday, February 12th, 2013 at 4:20 am and is filed under Four and Twenty of the Week, Micro Poetry, Poetry. You can follow any responses to this entry through the RSS 2.0 feed. Both comments and pings are currently closed. Though not usually a big fan of metapoetics, I enjoyed this one. Well done.